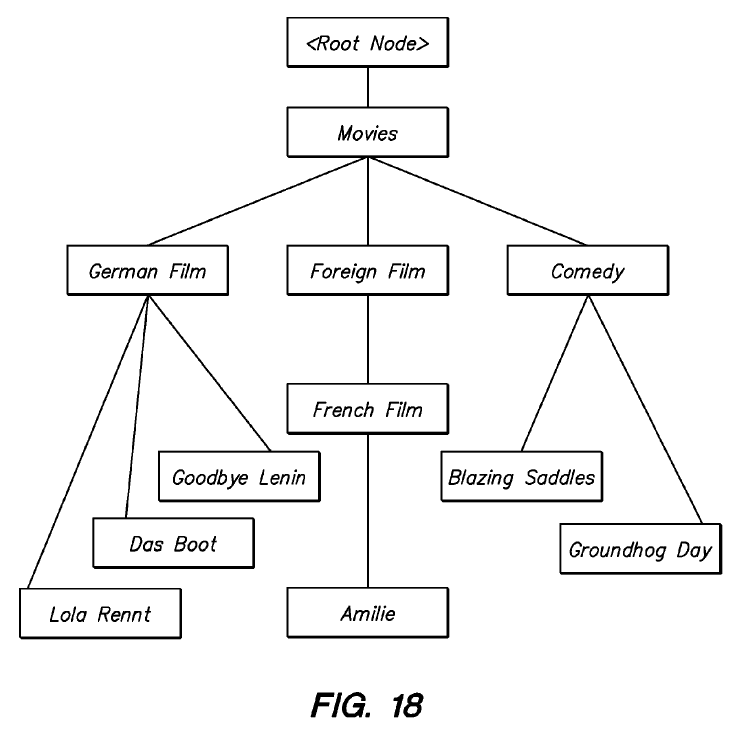 License Archives - Patent my French! And, to make sure that we are off to a good start in 2019, consider this: it has been a while since we last heard of Nergeco and Maviflex, right? One of the longest and messiest examples of French patent litigation, perhaps only equaled by the pravastatin case. But a few weeks ago, Jean-Martin Chevalier, from the law firm Cousin & Associés, was the first one to kindly draw my attention to the latest episode of the saga. Drum roll… Ladies and gentlemen, we now have a 4th (yes, fourth) cassation ruling partly setting aside a previous judgment by an appeal court. My previous post on the saga was entitled Groundhog case. At the end of the nineties, Nergeco (patentee) and Nergeco France (licensee) sued two companies, Mavil (now Gewiss France) and Maviflex, for infringement of a European patent. On December 21, 2000, the Lyon Tribunal de grande instance (TGI) held that the plaintiffs’ claims were admissible but ill-founded. The plaintiffs appealed. On October 2, 2003, the Lyon Cour d’appel set aside the first instance judgment and concluded that the patent was infringed. The court ordered an expertise to assess damages. On October 15, 2005, the Cour d’appel issued a second judgment further to the expertise. The amount of damages was set to 60,000 euros to the patentee (Nergeco) and 1,563,214 euros to the licensee (Nergeco France). The defendants then filed an appeal on points of law. On July 10, 2007, the Cour de cassation partly set aside the 2005 judgment regarding the damages to be paid to the licensee. The reason for the reversal was that the Cour d’appel had not addressed the argument that the license agreement had been registered in the patent register only in 1998, so that it was not enforceable against third parties before that date. The case was thus remitted to a different Cour d’appel, in Paris this time. On June 2, 2010, the Paris Cour d’appel held that all claims against Mavil (now Gewiss France) were in fact inadmissible as Mavil no longer existed when they were initially sued; and reduced the amount of damages to be paid by the second defendant Maviflex to the licensee Nergeco France by approximately half (taking into account the date at which the license agreement was registered and became enforceable against third parties). Both sides filed another appeal on points of law. On September 20, 2011, the Cour de cassation set aside the 2010 judgment. First, because the Cour d’appel should have ruled on an argument of invalidity of the license agreement (there was no res judicata on this issue, as it was not addressed in the 2003 and 2005 judgments). Second, because the argument that the claims against Mavil were inadmissible should not have been given any consideration, as Mavil / Gewiss France acted in the proceedings as if their designation in the initial complaint was correct. In fact, this part of the decision became very famous since it is one of the few illustrations of an estoppel principle in this country. The case was again remitted to the Paris Cour d’appel. On June 21, 2013, in a new judgment by the Cour d’appel, the case was reexamined pursuant to the instructions of the Cour de cassation. But the actual outcome was pretty much the same as in the previous judgment. In particular, the damages award to Nergeco France was similar to the one ordered in 2010. The defendants filed a third appeal on points of law. On December 16, 2014, the Cour de cassation set aside the 2013 judgment. Once again, the supreme court ruled that the appeal judges should have ruled on some arguments relating to the inadmissibility of Nergeco France’s claims. On October 28, 2016, the Paris Cour d’appel held that the agreement containing the license provision was invalid. Nergeco France further filed a claim based on unfair competition, but this claim was held as new and thus inadmissible at this stage. This leads us to the latest development: on September 26, 2018, the Cour de cassation set aside the 2016 judgment and remitted the case once more back to the Cour d’appel in a different composition. As Forrest Gump would say, this case is like a chocolate box, you never know what you’re gonna get. There were two parts in Nergeco’s appeal. According to the first part, the agreement containing the license provision should not have been held invalid. This part of the appeal was rejected by the Cour de cassation. As explained in my previous post, there are two reasons why the license agreement was held invalid by the Cour d’appel. First, the agreement was allegedly executed at a date when Nergeco France was not yet registered in the commerce register. But the agreement mentioned that Nergeco France was registered in the commerce register of Le Puy, under a certain number – which was untrue, as this registration only took place later. The agreement was thus executed by a company with no legal capacity. It can be surmised from these facts that either the execution date was erroneous, or the document was forged – although the appeal decision did not go down that road. 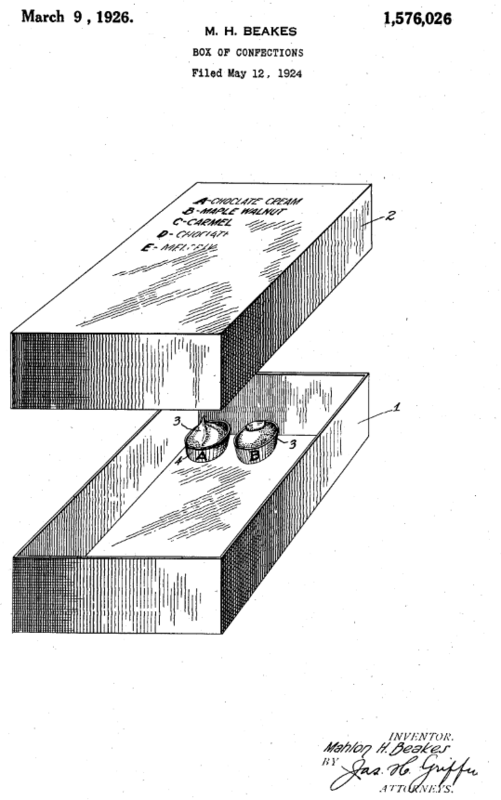 priority patent. Under French law, this omission made the license invalid. In front of the Cour de cassation, Nergeco argued that the parties to the agreement had proven their willingness to renew or continue the agreement after the cause for nullity of the agreement had disappeared. In particular, the agreement was filed at the national patent register several years later, and amendments were signed, at a time when Nergeco France was properly registered (as indicated in the original agreement) and the French patent had ceased to be in force (due to the substitution of the European patent). The supreme court was not convinced. If an agreement is invalid due to an “absolute” ground for nullity, it cannot be retroactively confirmed. Nergeco did not argue that another, valid license agreement had been executed at a later stage, but rather argued that the initially invalid agreement later became valid, and this is not possible according to the court. But then there was the second part of Nergeco’s appeal, per which the Paris Cour d’appel wrongly held Nergeco’s unfair competition claim inadmissible. Here, the cassation judges sided with Nergeco. […] The judgment [under appeal] stated that Nergeco France’s claim is inadmissible because [the court] cannot rule on a claim for damages on a different ground from the patent infringement ground, on which the claim was originally based, and on which the Lyon Cour d’appel ruled in a final ruling that it could in principle be indemnified. By ruling in this manner, the Cour d’appel [erred] as the judgment of the Lyon Cour d’appel of October 2, 2003 did not decide, in the order, on the dispute relating to the ground for damages [now] filed by Nergeco France. […] Partie’s submissions [on appeal] are not new when they have the same purpose as those filed in front of the first instance judge, even if the legal ground is different. […] The judgment [under appeal] stated that Nergeco France’s claim for remedy further to the acts of infringement of patent No. EP 0398791 is inadmissible because this company cannot file a claim for damages on a ground which is different from the patent infringement one, on which its claim was initially based. By ruling in this manner, the Cour d’appel [erred] as the claims successively filed by Nergeco France based on article L. 615-2 Code de la propriété intellectuelle and then on article 1382, now article 1240 Code civil, both had the purpose of obtaining a remedy further to the harm caused by the patent infringement. So if I understand correctly the court’s reasoning, Nergeco France’s claim is not “new on appeal” (and thus inadmissible) because Nergeco France simply changed the legal ground for its claim for damages, but the damages are still requested for the same purpose, in view of the same acts. And on the other hand, this more recent legal ground was not previously examined and there was thus no res judicata. I have to say that I am a little bit surprised by this reasoning. There is case law aplenty per which an unfair competition claim cannot be based on the exact same facts as a patent infringement claim. If this is correct, then how can Nergeco France’s unfair competition claim not be “new” relative to the original patent infringement claim? Besides, irrespective of the correctness of the legal reasoning, the practical outcome of this cassation ruling appears to be most unfortunate. I find it preposterous that this is the tenth ruling in this litigation, and that it is still not yet the final one. You can probably count on at least two more: a further judgment of the Paris Cour d’appel, and then back again to the Cour de cassation, unless of course there are yet additional twists in the story. CASE REFERENCE: Cour de cassation, ch. com., September 26, 2018, Nergeco France et al. v. Gewiss France et al., pourvoi No. Y 16-25937. I don’t know if this sentence will ring a bell to some readers, but it is my favorite quote from the classic comedy Groundhog Day, in which poor Bill Murray cannot get out of a day he keeps re-living. The movie came to my mind when reading about the latest development in the Nergeco v. Maviflex case. I don’t know if this patent litigation has broken a record or not, but it sure looks like the judicial equivalent of a groundhog day that never ends. And this finally leads us to the latest decision in the series, issued by the Paris Cour d’appel on October 28, 2016, and which addresses the inadmissibility arguments that the Cour de cassation held needed to be addressed. What an incredible mess… This lawsuit has now been pending for almost two decades, and the Cour de cassation set aside appeal judgments three times. It may not even be over yet. For all I know, the losing parties may have referred a fourth appeal on points of law to the Cour de cassation. Fortunately, this is a very exceptional situation due to the fact that (1) the Cour d’appel repeatedly failed to address arguments that the supreme court believes should have been addressed; and (2) the supreme court repeatedly remitted the case to the appeal stage instead of putting an end to the lawsuit. Groundhog day and Goodbye Lenin: very different but both fun to watch. While the context of the case is by itself fascinating, the content of the October 28, 2016 decision is also quite interesting, as it notably addresses the issue of the coexistence of French and European patents. As a recap, the issue at stake was whether Nergeco France’s claims in the lawsuit were admissible. The court held that they were not, because the agreement containing the license provision was invalid. Remarkably, the court found not one but two independent reasons why the agreement was invalid. The first reason was one of contractual law. The agreement between Nergeco and Nergeco France was executed on December 6, 1990. At that time, Nergeco France was not yet registered in the commerce register. It is possible for a company to enter into an agreement before its incorporation, but special formalities need to be observed. This was not the case here. The agreement even mentioned that Nergeco France was registered in the commerce register of the good town of Le Puy, under a certain number – which was untrue, as the registration only took place on February 2, 1991. The agreement was thus executed by a company with no legal capacity. if necessary, Nergeco will be in charge of obtaining and maintaining patents. Nergeco Fance will ipso facto be a licensee of the patents for France. An annex to the agreement, dated January 31, 1991, specifies that, by application of article 8, a license is granted by Nergeco to Nergeco France on a number of patents, among which the European patent in suit. However, the agreement and its annex are silent as to the French patents to which the European patent in suit claims priority. A French patent application or a French patent and a European patent application or a European patent having the same filing date or the same priority date, protecting the same invention and belonging to the same inventor or successor in title cannot, for the parts in common, be independently subjected to a transfer, security, pledge or authorization of exploitation rights, subject to invalidity. This provision is one of the tools for preventing some forms of double patenting in this country. In the present case, the European patent was licensed to Nergeco France, but not the French priority patents. As a result, the license was invalid. The plaintiffs tried to escape the L. 614-14 trap by presenting several interesting arguments. A first defense was that the general sentence “Nergeco Fance will ipso facto be a licensee of the patents for France” in article 8 of the agreement meant that the French patents were also concerned. The court replied that the licensed patents were necessarily expressly mentioned in the agreement – and the French patents were not. A second defense was based on article L. 614-3 Code de la propriété intellectuelle, according to which a French patent covering the same invention as a European patent granted to the same inventor or successor in title ceases to be in force at the end of the European opposition period (or at the end of the opposition proceedings, if an opposition is filed). The opposition period ended on July 13, 1994. Nergeco argued that the two French patents ceased to be in force on that date. Therefore, the ground for invalidity related to the absence of mention of the French patents in the agreement no longer existed from that date. The court rejected the argument, as this ground for invalidity must be appraised on the day the agreement was executed. It cannot be cured afterwards. For the same reason, the court did not take into account subsequent actions (such as the renewal of the agreement, later amendments to the agreement, etc.). And so, after all this time, the licensee was finally found not to be an actual licensee. Nergeco France saw this coming, and therefore tried to convert its claims as a licensee into claims based on unfair competition. But these were new claims and were thus held inadmissible at this stage of the lawsuit. As a final word (for now?) on this story, things seem to have gotten very nasty between the claimants and defendants. The judgment briefly mentions a number of parallel proceedings, including criminal ones. It also seems that Gewiss France and Maviflex argued that the agreement between Nergeco and Nergeco France was forged. The court did not take sides on this. I wonder if the alleged forgery relates to the date of the agreement. From an outsider’s perspective, the fact that the agreement makes reference to a company having a registration number although the registration had not yet been performed at the time is indeed troubling. Could it be that the court was troubled as well, leading them to being quite strict on formal invalidity issues? One can only speculate, not having access to the file wrapper. CASE REFERENCE: Cour d’appel de Paris, pôle 5 chambre 1, October 28, 2016, Nergeco SA & Nergeco France SAS v. Gewiss France SAS & Maviflex SAS, RG No. 2015/01298.